How did women get the vote? They didn’t keep quiet. They didn’t behave. They didn’t play nice. They had to stand up. They had to shout loud. They had to say Time’s Up. But who were the rebel women who did those things? You’ll meet them in this gorgeously illustrated book. There are women who went on hunger strike. Women who climbed mountains. Even a woman who walked a lion through the streets of Paris. There are British suffragettes, and Russian women marching through St Petersburg, and Kuwaiti women wielding text messages to demand their rights. 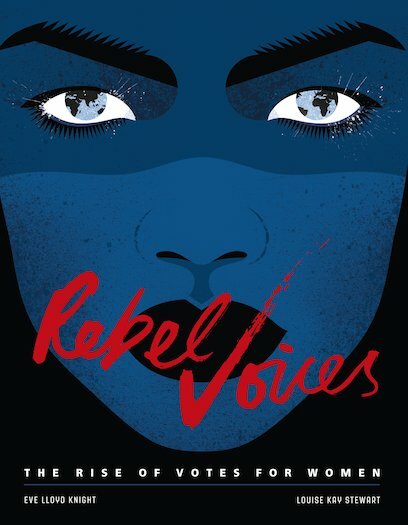 On every page, brave women demanding a voice: women who rioted, rallied and refused to give up.